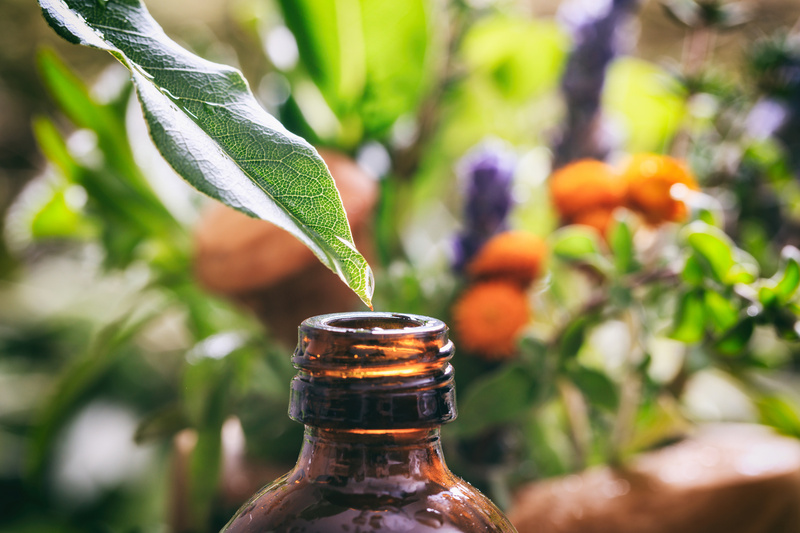 As you become aware of the ability for essential oils to be used to support your health in a natural way, you should be concerned with ensuring you are using only pure, potent, therapeutic-grade essential oils. When you purchase essential oils online or at a health food store, you don’t always know the quality of the oil you are receiving. If you are purchasing essential oils from an unknown third-party seller (such as on eBay or Amazon), you genuinely don't know what is in the bottle. It is important to remember that the essential oil industry is unregulated. There is no standard in quality that consumers, such as you, can discern simply by looking at a bottle or claims on a website. When looking at the essential oil bottle, you are unaware if the oil contains the chemical constituents required for a therapeutic result. The oil could contain solvents from the production process that are toxic to the body. It also may have been diluted with lower-cost essential oil or a carrier oil. Chemists can reproduce some of the discrete constituents of essential oils in the laboratory. These are sold as fragrance chemicals and are used in the perfume and fragrance industries. However, it would be impossible, and completely impractical, to attempt to replicate complete essential oils—with all of their chemical constituents—in the laboratory. It is common for essential oil distributors to dilute essential oils with synthetic versions of the main constituents and sell it as “pure.” It is also common for essential oil distributors to adulterate high-cost oils with low-cost oils (e.g., low-cost Lavender is almost always adulterated with Lavandin). Both of these practices are done to increase profits. It may say “100% pure” on the bottle, but this is meaningless. It could be 100% pure synthetic or adulterated essential oil. Synthetic oils would have little to no therapeutic value without the full symphony of chemical constituents present in the version nature creates. Adulterated oils put your safety at risk because you have no way of knowing precisely what is in the bottle without expensive chemical analysis. There are certain expectations you should have when choosing a company to provide your pure, potent, therapeutic-grade essential oils. The potency of an essential oil starts with the plant itself. A single plant species grown in different habitats will differ in its chemical makeup. Plants growing in their native habitat with optimal soil, temperature, and climate will produce higher-quality essential oil. The company should source essential oils from around the world. The plants should be grown by native, expert growers that are committed to meet the highest of quality standards. Also, the plant materials should be distilled by distillers committed to meeting quality standards. The essential oils should be 100% pure and should contain zero fillers, pesticides, fragrance chemicals, diluents, or synthetics. The bottles should be labeled with the genus and species of the plant from which the oil was produced. You should feel confident that the label matches the contents. And you should feel satisfied that the company provides essential oils with the highest quantity of beneficial constituents which are free of contaminants and adulterations. The essential oils should be tested multiple times throughout the lifecycle of the essential oil for both purity and potency. The essential oil company should guarantee the oils have the correct chemical composition; this will help you achieve your desired therapeutic result. Most quality essential oils are affordable in small quantities, but they are not inexpensive. Low-cost and surprisingly cheap essential oils should be a warning sign. Companies that meet quality standards are proud of this! And they freely share information on their website or by reaching out to customer service. Exercise caution with suppliers that provide outdated information, undated or generic GC/MS or certification reports. Also, a lack of cooperation from the company to provide information should be a red flag.